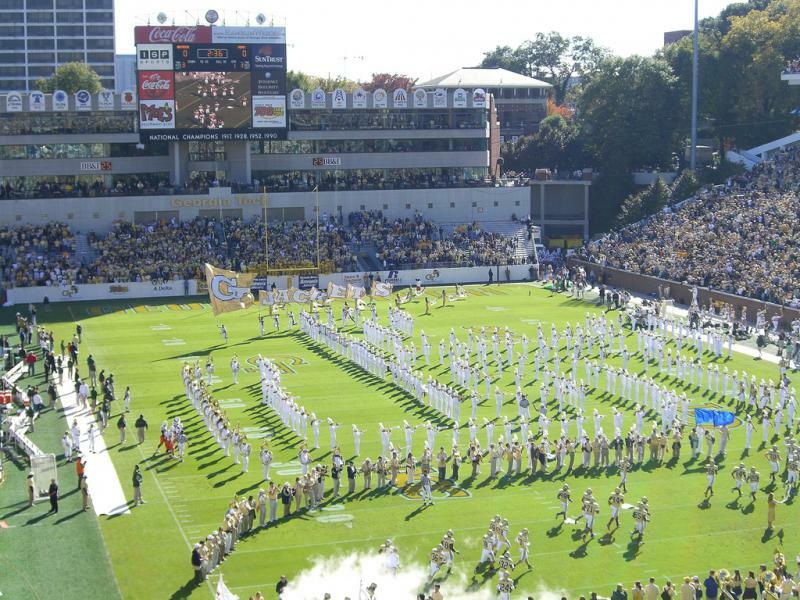 While handguns will be allowed in certain settings on Georgia campuses, they will be banned from athletic events and venues like GA Tech's Bobby Dodd Stadium. Starting July 1, college students and others will be allowed to carry concealed weapons on campus. They won’t be allowed in dorms, preschools, disciplinary hearings, and some offices. 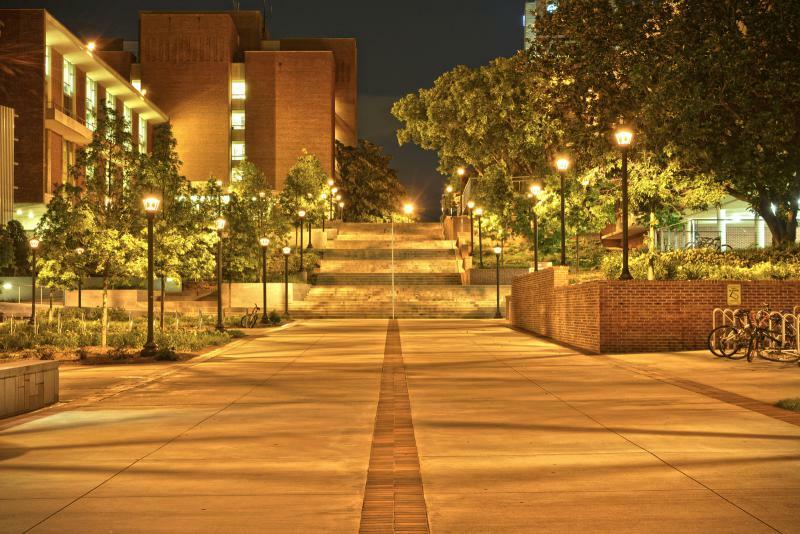 Now, those who study, live, and work on those campuses are considering what “campus carry” will mean for them. “Everyone kind of gets in an uproar and wants to debate about every aspect when it comes to weapons,” said Byron Pitts, an engineering student at Middle Georgia State University in Macon. Pitts served 12 years in the Marine Corps, including two tours in Iraq, and already has a concealed carry permit. “The reason why we’re allowed to carry weapons is to protect ourselves,” he said. Byron Pitts explains his support for campus carry. “I find it extremely unfortunate and disheartening that Governor Deal did not listen to what students wanted and were asking for and instead listened to the gun lobby,” said Georgia Tech freshman Taft Weber-Kilpack. She’s concerned the presence of handguns on the school’s Atlanta campus will make the jobs of school public safety officers even harder. “I worry about this putting more pressure on [the] Georgia Tech Police Department and then they have to take energy that they’d normally be using to protect students,” she said. Taft Weber-Kilpack is disappointed that Gov. Deal signed campus carry into law. But freshman Chandler Watkins balked at the idea that concealed weapons would make Georgia Tech’s campus more dangerous. “Just because you’re sitting in a classroom and anyone could have one in their backpack, that doesn’t necessarily mean they’re there to use it for harm, and if they were, they would probably be able to do that anyways,” he said. But guns will be allowed in settings where teaching occurs, and that bothers Georgia Tech literature professor Narin Hassan. Professor Narin Hassan is concerned with preserving the classroom as a safe space. Hassan worries the presence of guns will change classroom dynamics and hinder learning. That’s also on the mind of Cheryl Fuller. She’s a housekeeper at Middle Georgia State University. She starts taking classes there this fall and said she has mixed feelings on the new law. Guns on campus don’t seem like a good idea to Savannah State University sophomore Chaning Graham. “Not everybody is responsible enough to carry an armed gun around,” she said. 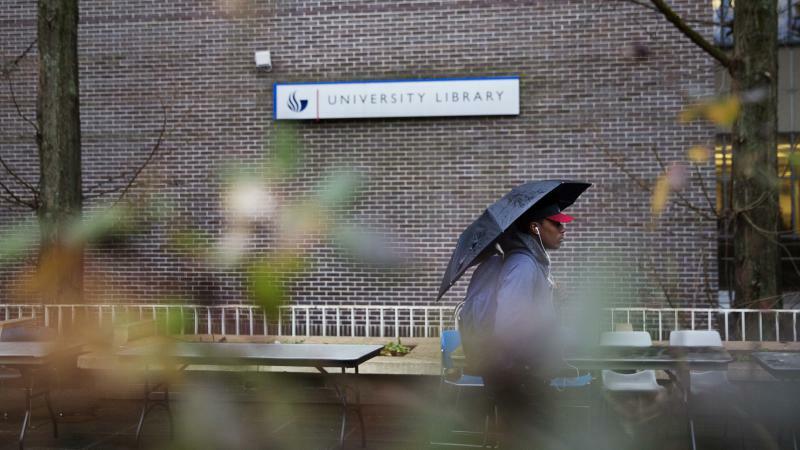 Neither student was at Savannah State yet in August 2015, when 22-year-old student Christopher Starks died after being shot during a fight on campus. They said that shooting didn’t inform their feelings on campus carry, nor did they worry about a similar incident happening again. Starks’s parents have sued the University System of Georgia and the private foundation that manages campus facilities, alleging they failed to provide adequate security that could have prevented his death. Graham said she doesn’t think allowing guns would change the likelihood of a shooting. “I just think it depends on the person who’s carrying the gun and how responsible they are with their own emotions and actions,” she said. Georgia is the second state this year to pass a campus carry law, after Arkansas. The National Council of State Legislatures says 10 states allow concealed weapons on public college and university campuses. Georgia Gov. Nathan Deal has signed a bill legalizing the concealed carry of firearms in some areas of public college and university campuses. Last year, many against the bill celebrated strong language in Governor Deal's veto of a similar bill. In that veto, Deal's office said it was "highly questionable" that the bill would make students safer.